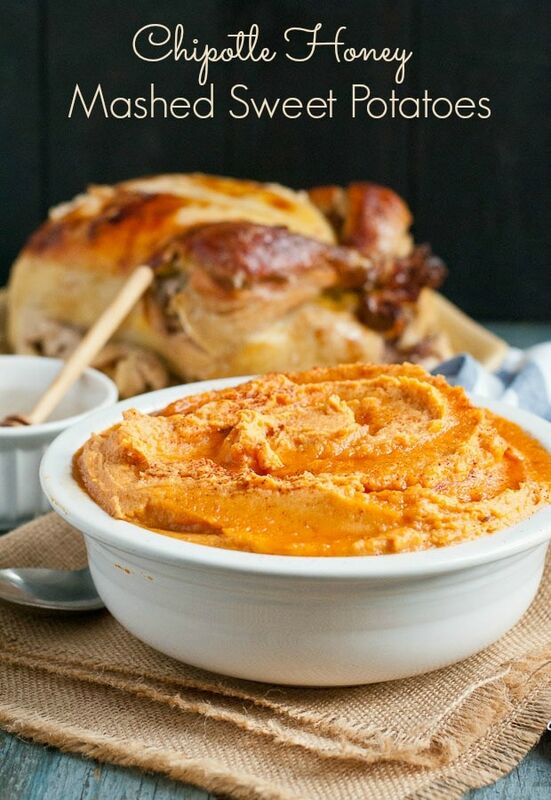 These Chipotle Honey Mashed Sweet Potatoes are the perfect smoky sweet side dish for Thanksgiving. Paired with a simple roast chicken, it’s also a comforting meal to share with a friend or family in need. I still remember the avocado and apple salad a friend brought me after my miscarriage. It was a difficult season for us. We had only grieved the loss of our baby for a week when the Mr. broke his leg playing hockey. Those were dark days. Lonely days. I had little desire to cook, or do much of anything at all to be honest. But in the midst of those days, there was Chicken, Apple, and Bacon Kale Salad. It was a simple gesture that meant so much. I remember every detail about that meal. I remember tossing the salad together, I remember the sweetness of the poppy seed dressing, and the hearty loaf of bread we ate along with it. That meal didn’t just nourish our bodies. It lifted our spirits. It made us feel a little less alone. It reminded us we are loved and cared for, even in our darkest moments. Food is powerful that way, isn’t it? It’s a common language we can all understand. In some of my most needy moments, when I’ve been grieving, or sick, or caring for a new baby, a homemade meal has been exactly the encouragement I needed. That’s why I love any excuse to return the favor. I may not always have the right words to say, but you can bet I’ll show up at your door with a casserole and a pint of ice cream if you need me. 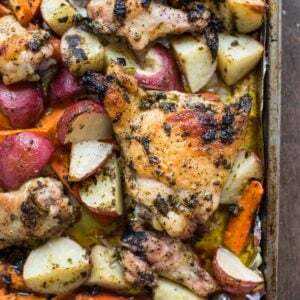 One of my favorite meals to share with others is a simple roasted chicken with sweet potatoes. It’s comforting, wholesome food that also makes for great leftovers. While roast chicken doesn’t take a super long time to prepare, I’ve waited until the last minute more than once and resorted to picking up a rotisserie chicken at the grocery stores. Those’ll do in a pinch, but there’s nothing quite like a roast chicken fresh from the oven. That’s where Perdue’s Seasoned Whole Oven Roaster enters and saves the day. The chicken comes ready to go in a bag so all you have to do is pop it in the oven and go about your business. The chicken turns out super juicy, and it makes plenty to feed two small families with leftovers to spare! 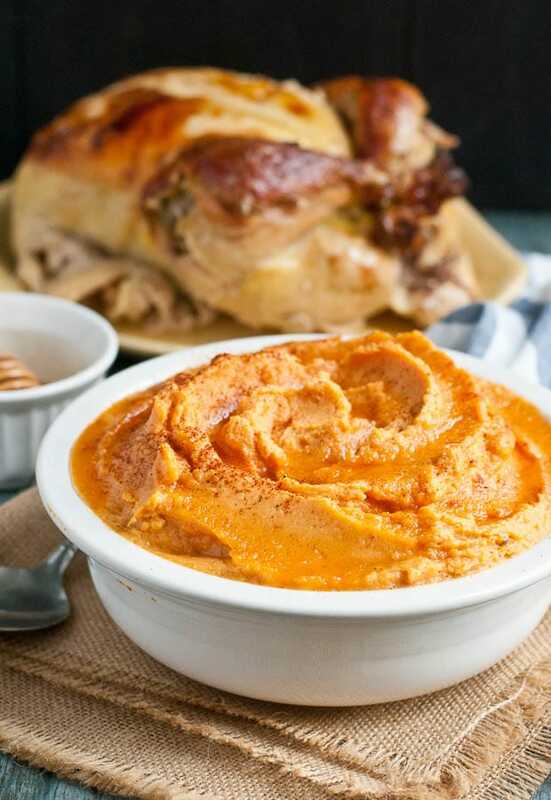 I suggest you use some of your new found free time to whip up some of these Chipotle Honey Mashed Sweet Potatoes to go on the side. 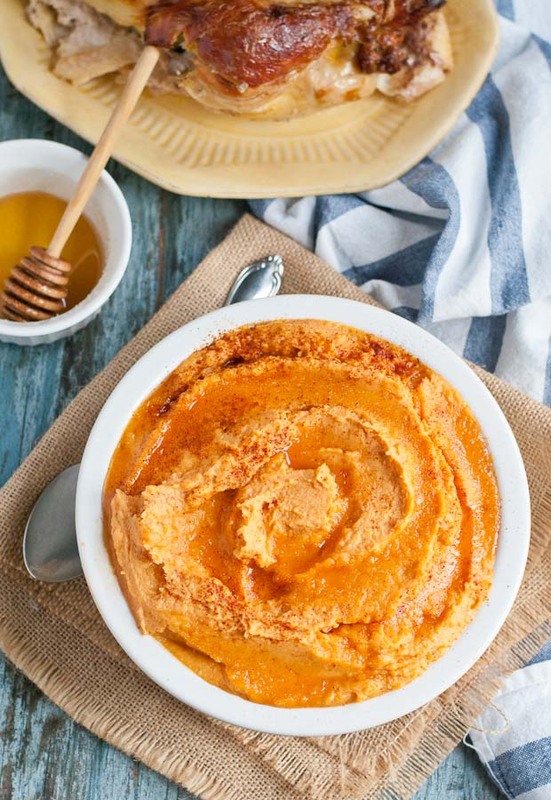 While I know many people (myself included) love the marshmallow and brown sugar laden sweet potato casserole, these mashed sweet potatoes might be my new favorite. They’re rich and creamy with a subtle sweetness and a hint of heat. The smoky warmth of chipotle chili pepper and smoked paprika perfectly compliment the sweetness of the potatoes and the honey. It’s the perfect healthy side dish you can whip up quickly, and it makes enough for a giant Thanksgiving party or a second meal to share with a friend who might need some cheering up. Be sure to stop by the blog later this week, when I’ll be sharing what to do with all those delicious chicken leftovers! 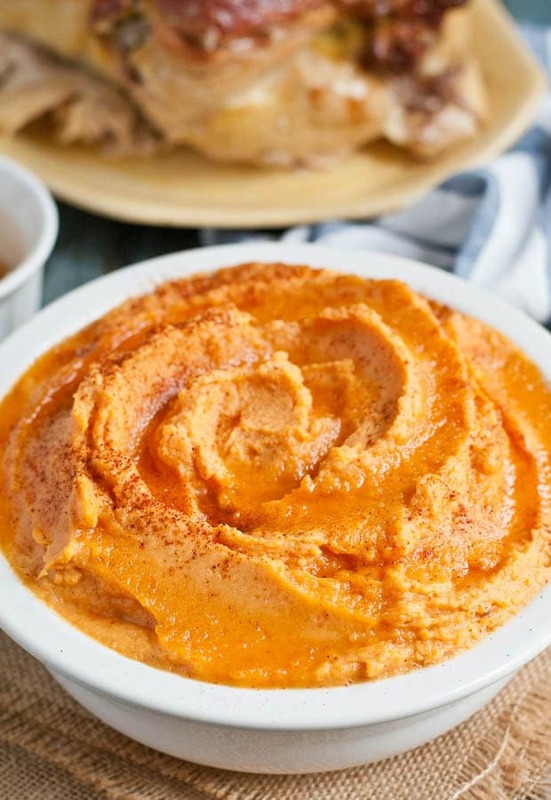 If you're looking for something different to spice up your side dish game, these slightly sweet and smoky mashed sweet potatoes are just the thing! Boil a large pot of water. Add the chopped sweet potatoes and boil for 15-20 minutes or until tender. Drain the potatoes then place them back in the pot. Add the butter and use a potato masher to mash. Slowly mash in the half and half. Stir in the honey, salt, paprika, and chili powder. 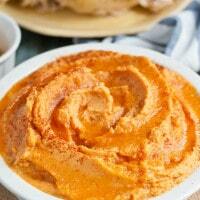 If desired, use an immersion blender to get the mixture extra smooth. 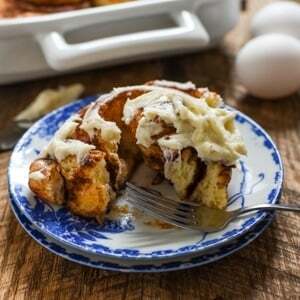 Serve with an extra drizzle of honey and a sprinkle of paprika. Disclosure: This post is sponsored by PERDUE®. As always, all opinions are my own. Ooh, I love the addition of chipotle to offset the sweetness in the potatoes! Can you make a large batch and freeze it? I’ve never tried freezing it, but I think that would work fine!